SatanDisk is a SD and MMC card adapter for Atari 16-bit computers, such as the Atari ST originally designed by Jookie. 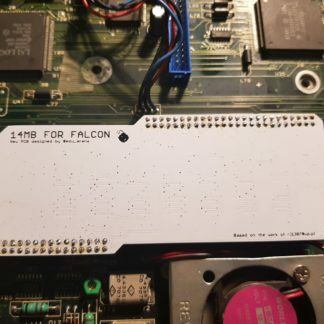 The objective is to replace mechanical hard drives available from Atari (SH204, SH205 and Megafile) and compatible products. 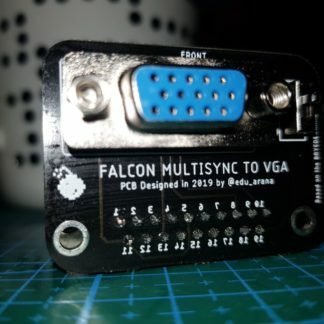 The interface allows the connection of an SD or MMC card to be attached to the ACSI (hard disc) port of Atari computers, and has been tested to be compatible with TOS versions 1.02 to 2.06. The maximum supported size is 4 GB. The device appears to the system as any regular ACSI attached hard disc. 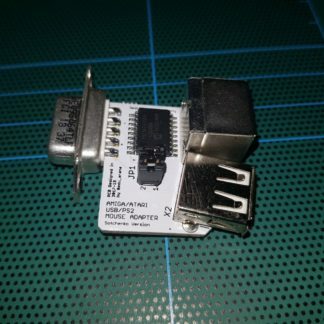 Micro USB connector to use with an 5V Android compatible power supply (at least 1a). 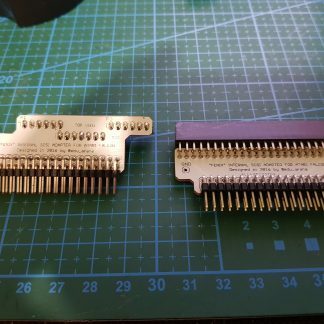 New 3v3 regulator and better decoupling caps. Sd card protection in case of removed while power on. 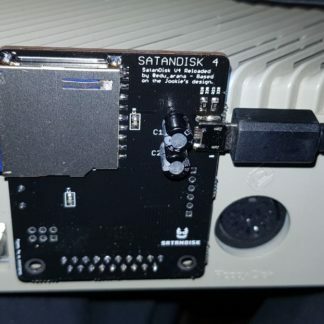 No ACSI to Satandisk cable required, you just plug the satandisk on the back of the Atari. SD card with at least 1GB required. 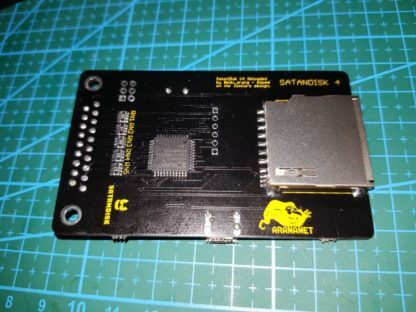 Some 4GB sd card or mmc card with adapters are not compatible with SATANDISK firmware. You need to find a good one. Usually an old 2GB sd card will work. SDHC or some microSD will not work on the satandisk, due to his firmware design. 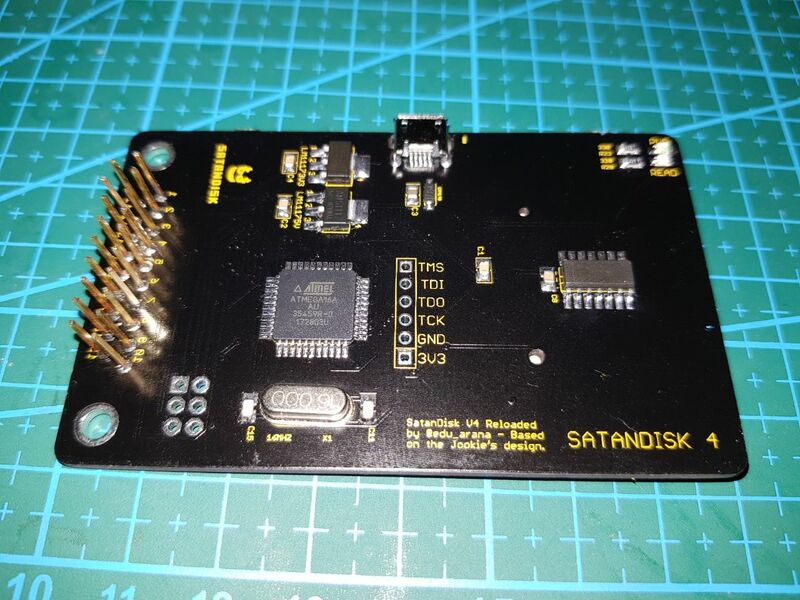 No matter if your SDHC works on the UltraSatan, it will not work on the SATANDISK. Use standard SD CARDS. 5V/1A to 5V/2.5A Android compatible power supply (micro usb b). 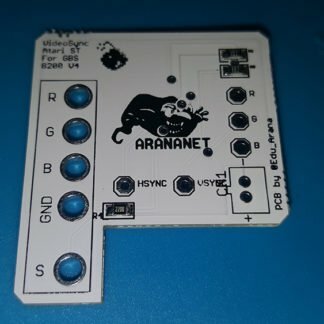 Cold boot issue – in some cases the TOS does not detect the SATANDISK on the first boot, so if you don’t see activity led working, once the TOS desktop is available, just reset the ST and on the next boot, the SATANDISK will be detected. HDDRIVER bug with cards > 1GB. The total space is not showed properly, so some areas of the SD aren’t accesible. Steps to use the SatanDisk with the ST.
Plug the Android power supply (from 5v/1A to 5V/2.5A) cable in the SATANDISK. If the SATANDISK is not detected on the first boot, reset and it will be available on the next boot. From 02/04/2019 2GB sdcard included on the package with the PP’s image burned inside.